Here is on of Daisy's latest sessions. She is a 5 year old rescued hound that I like to call a Carolina Grey Hound. She is very gentle but still a very good watch dog. She lives with me in her forever home. This is Daisy trying to be a good girl but just had to let out a little attitude since sitting on a portrait bench for her picture to be taken was not on her agenda for this day. That's ok. She did great and I got some great images of her. Look for that photo you'll love. Black dogs require special lighting to look great. That is not a problem at Coastal Portraits. Interacting with your pet is very special. Many options are available for photographing your pet. Let me find the one that is right for you. Show off your BFF in a wall portrait! Bring in your pets for a portrait today! The hands of the owner tell the story. Start your forever memories with a portrait session today! For a lasting memory of your best friend call Coastal Portraits today. In studio sessions or on location. Sessions are customized to make your pet happy and beautiful. Color is not always needed to convey the special characteristics of your wonderful pet. A young great dane looking his best. What more can be said for this lovely dog? To see you and everyone. Your dog's image can be photographed in studio or painted from a studio image or one of your images. Let me make your dog a star! Have a photo session with your best friend today! Come make your own memories! Make your dog a star! Sometimes the best portrait is the one that is spontaneous. In studio or On location. The nature of the pet and your desire for art in your home will determine the session. They are fun and whimsical with a face everyone will love. Have a portrait done of your pet today. Our pets are so special. Create a memory that will last. I love to photograph dogs, plain and simple. and Great to Look at. 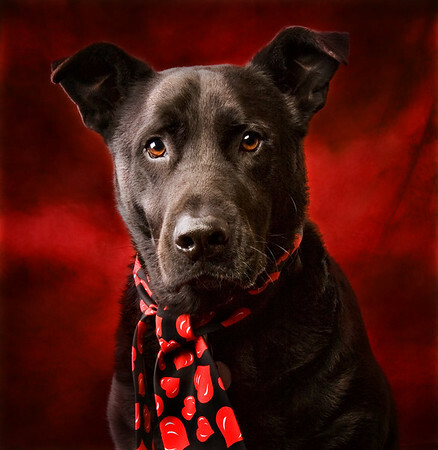 In studio portraits can be more stressful on the owner than the pet. A relaxed atmosphere is a must and at my studio, a lot of cool air conditioning, a flash or flashless lighting system, and a calm setting are all in place to give you a wonderful session with your pet. Come and see this portrait at my CPA office in Bayboro, NC. Day or night, the lights are always on so you can see how wonderful a wall portrait will look in your home. Make your best friend a star! This one is high up on the cute scale! Try out your own session to see what cute things happen! Group portraits - are wonderful! Two or more pets are no problem! And they are champs too! Whatever the holiday or reason, share the fun with your best friend. Many times pets exceed their owner expectations in a portrait session. Give me a try to see what you pet will do!